The facts are startling. Most unhappy guests won’t complain while they’re still on site, so you don’t find out until it’s too late. It’s time to put control back in the hands of your front-line staff. 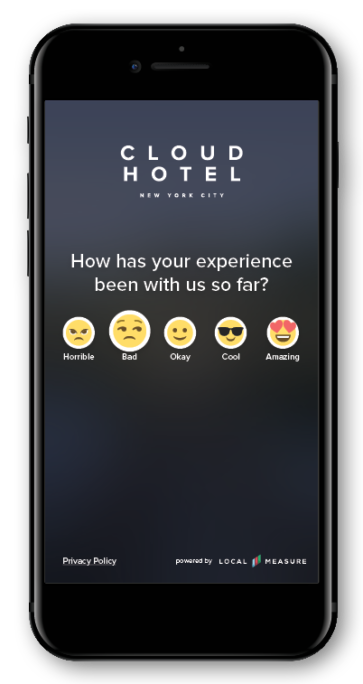 Welcome to Pulse, a new real-time feedback tool to help you increase guest satisfaction – simply. Pulse has been designed to help businesses collect feedback from on-site customers so that businesses can immediately action any issues, thereby improving bottom line metrics like NPS and thwarting negative reviews. Hotels have been the first industry to embrace Pulse. Benjamin Krieg, General Manager of Novotel Bangkok Sukhumvit 20, has found the tool to be transformative. Jonathan Barouch, CEO of Local Measure, explains “By the time a business has sent a post-visit customer survey, it’s simply too late to make a difference for that customer or to shape their impression. Pulse gives control back to front-line teams to take action on feedback in the moment and drive a better experience for the customer.” The company’s integration capabilities mean that customer feedback can be used intelligently by organizations and shared at an enterprise level.